Part of that tougher direction is the ongoing shakeup at the Department of Homeland Security where acting deputy secretary Claire Grady, who would ordinarily have been next in the line of succession after the resignation of secretary Nielsen, has now resigned to clear the way for CBP Commissioner Kevin McAleenan. Following Grady’s departure, other officials possibly marked for elimination by Miller are U.S. Citizenship and Immigration Services Director Francis Cissna and General Counsel John Mitnick. Miller’s rise in the WH hierarchy potentially puts him on a collision course with another WH senior official, first son-in-law Jared Kushner. For months, Kushner has been working with a small group on a White House plan to increase legal immigration levels. According to various reports, the group recently presented their plan to President Trump, who was not impressed. It was at that meeting where the President decided to shift his policy. “He became frustrated,” an unnamed source said. 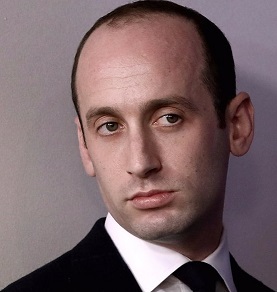 “And he felt that what made it to his desk was just not good enough and not what he wanted to do.” Kushner was sent back to draw up a new plan, and Miller was given the green light. The DHS shakeup ensued. Trump partisans in the Senate have gotten into the act as well. Sens. Tom Cotton of Arkansas, David Perdue of Georgia, and Josh Hawley of Missouri are expected to introduce a bill that would place limits on any plan Kushner’s group might subsequently introduce. Although Kushner’s cheap-labor leanings seem to be in the descendant currently, as a trusted family member Kushner himself is probably unassailable. Miller, the outsider, will need to finesse any future collision with his rival adviser as he maneuvers down that tougher direction.